Enjoy over 300 streaming entertainment services, including Netflix, YouTube, Hulu Plus, Amazon Instant Video, Pandora, and more. Bring your mobile media to the big screen with Miracast screen mirroring, or play select PlayStation 3 games with PlayStation Now-no game console required. If you are unable to even power up your Sony Blu-ray player, make sure the power cord is securely connected. 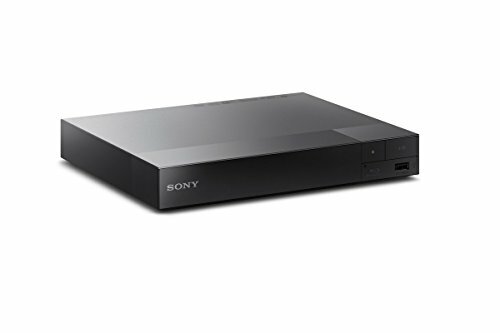 If you have power on your Sony Blu-ray player but no picture, check to make sure all cables are securely connected to the television and that they are in the correct ports. Check the input settings If the Sony Blu-ray player is connected with an HDMI cable Turn the Sony Blu-ray player off for about 30 seconds and then turn it back on. If you are unable to play a disc on your Sony Blu-ray player,Remove the Blu-ray disc from the player and check to see if it is dirty. Enjoy music, photos and video via front USB slot, Experience HD sound with Dolby TrueHD and dts-Master Audio, Energy Star 3.0 compliant. Requires HDMI cable and LPCM capable receiver.